The evenings are getting warmer and it is becoming a real challenge to get Dylan to wear something other than long sleeves and legs to bed, despite the fact he gets so hot in the night. It is still a challenge to get Archie to wear anything at night (even in the middle of winter), as he has worked out how to undress him self at speed. 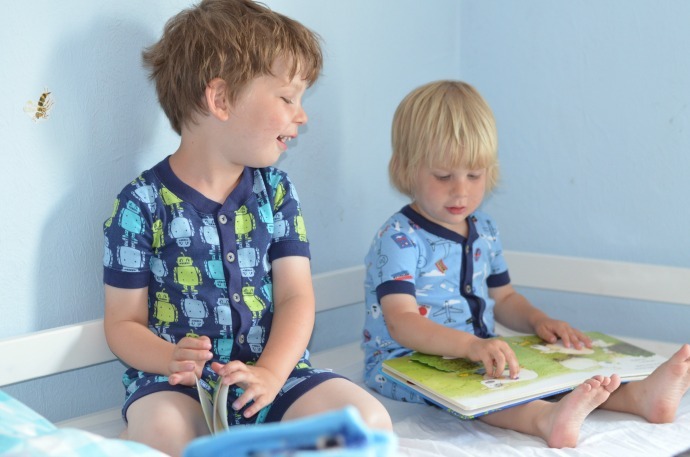 Half Pint Chic sent the boys a pair of Mini Vanilla pjs each, and they have had no problem getting ready for bed since. 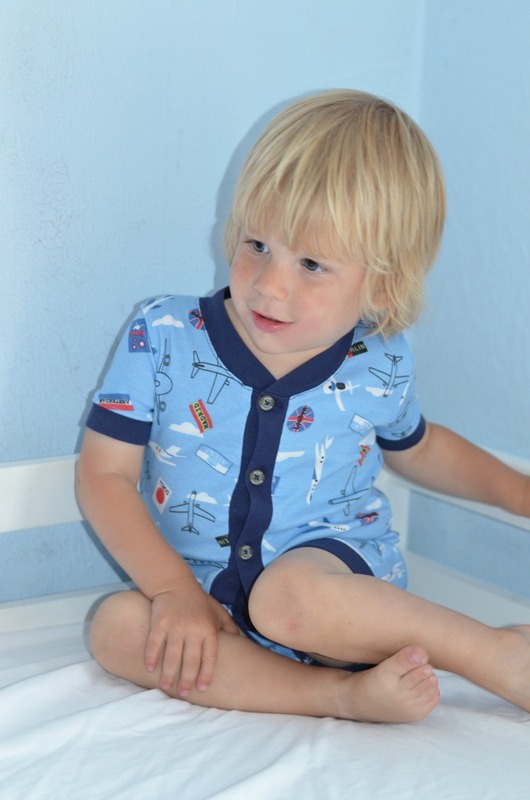 The onesies are short sleeved and short legged and have buttons down from the neck to help get them on. The RRP is £28 for these, but Half Pint Chic are selling them for only £12. I would suggest sizing up on these as we found the boys' current sizes are already a bit snug. Dylan loved the robots, and Archie was really happy with the airplanes and flags on his. They both said they were comfortable and they both woke up still dressed in appropriate clothing! 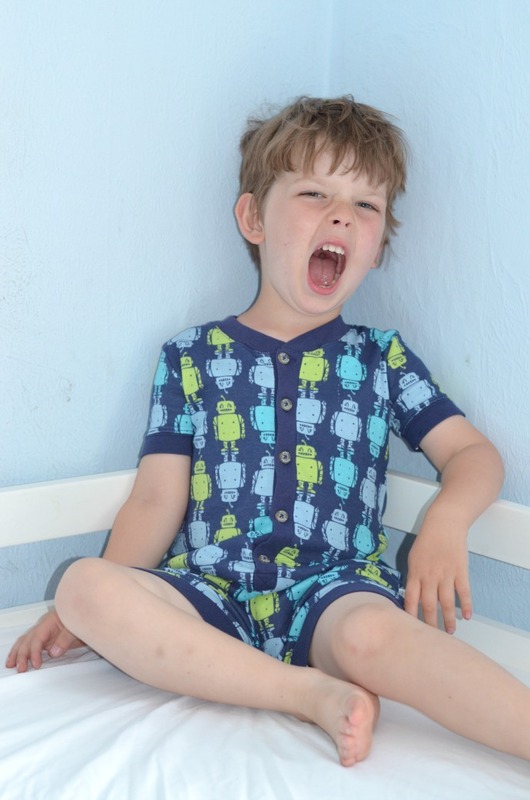 Finn was sent a couple of summer rompers and they have been perfect with the hot weather we have had. 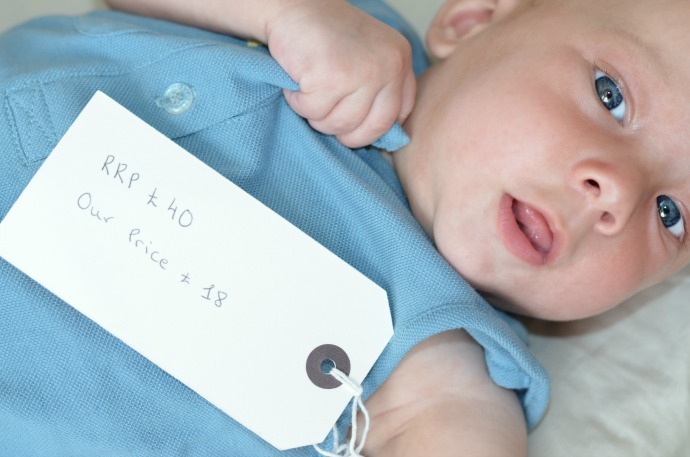 It is usually the case that you get what you pay for, and I could feel the quality of this organic cotton romper. 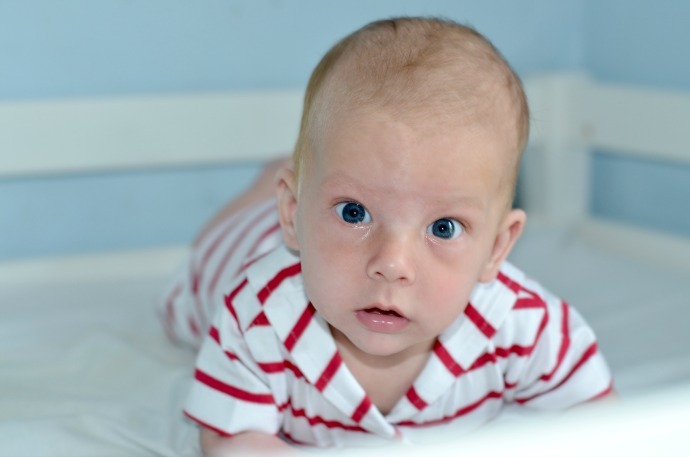 I am usually not one for baby blue, but I like this dusky colour, especially with the little yellow details as it really brings out the blue of Finn's eyes. This simple red and white striped romper has beautiful detailing on the little sailor neck, and I love how classic and unisex it is. This photo below is from 2 weeks ago, and the one above from this week - How much has Finn grown! 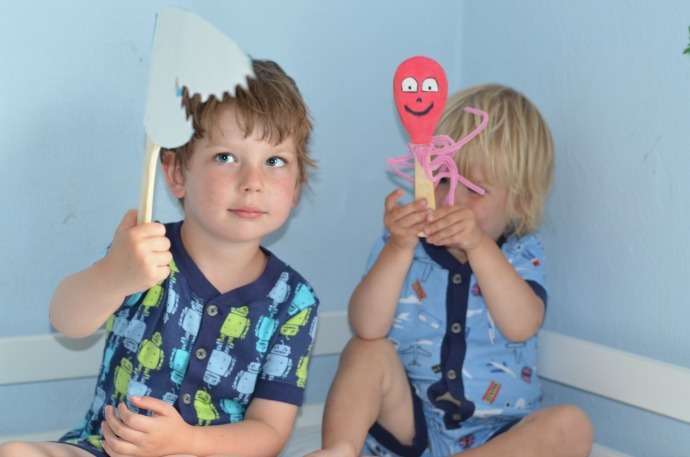 Half Pint Chic sell so many brilliant brands and all are at discounted prices which makes it easier to get great quality clothes. Nothing is current season, which means you know your child will be the only one rocking that outfit too - something I love!